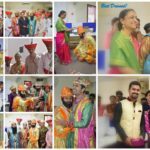 Navratri Celebrations - Vaal Triangle Systems Pvt. Ltd.
Navaratri (Sanskrit: नवरात्रि, literally “nine nights”), is nine nights (and ten days) Hindu festival, celebrated in the Tamil month of Purattasi every year. 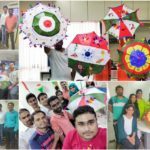 It is celebrated differently in various parts of the Indian subcontinent. There are two seasonal Navaratri in a year. This festival in this month is called Sharada Navaratri that is the most celebrated for Goddess Durga. The festival is associated to the prominent battle that took place between Durga and demon Mahishasura and celebrates the victory of Good over Evil. These nine days are solely dedicated to Goddess Durga and her nine Avatars. Each day is associated to an incarnation of the goddess. Known as Pratipada, this day is associated to Shailaputri (literally “Daughter of Mountain”), an incarnation of Parvati. The color of the day is red, which depicts action and vigor. On Dwitiya, Goddess Brahmacharini, another incarnation of Saraswati, she is the goddess of peace and knowledge. Day 3: Chandraghanta Tritiya It commemorates the worship of Chandraghanta – the name derived from the fact Lakshmi being the sister of Chandra adorned him on her head. Day 4: Kushmanda Goddess Kushmanda is worshiped on Chaturthi. Believed to be the creative power of universe, Kushmanda associated to the endowment of vegetation on earth and hence, the color of the day is Green. Skandamata, the goddess worshiped on Panchami, is the mother of Skanda (or Kartikeya). The color Grey is symbolic of the transforming strength of a mother when her child is confronted with danger. Born to a sage, Katyayana, she is an incarnation of Lakshmi and is shown to exhibit courage which is symbolized by the color Orange to kill MAHISHASURA. Considered the most ferocious form of Goddess Durga, Kalaratri is revered on Saptami. It is believed that Parvati removed her fair skin to kill the demons Sumbha and Nisumbha. The color of the day is White. On the last day of the festival also known as Navami, people pray to Siddhidhatri. The light blue colour of the day portrays an admiration towards the nature’s beauty. 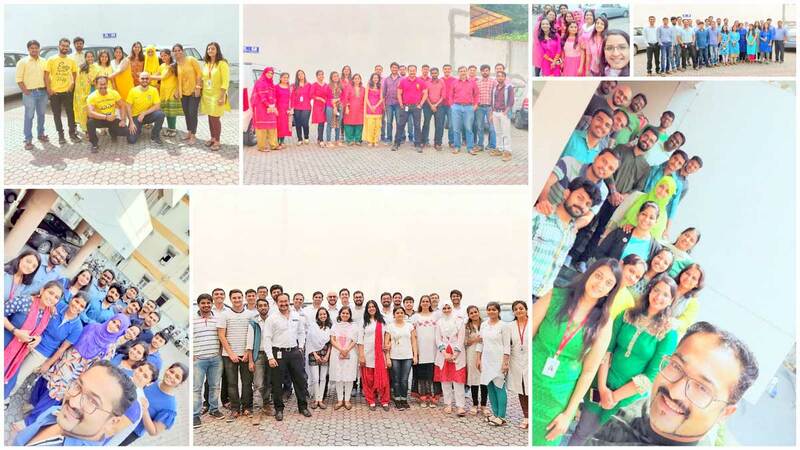 Every Year at Vaal we celebrate Navratri festival by wearing “Color od Day” for all the nine days-Work days.